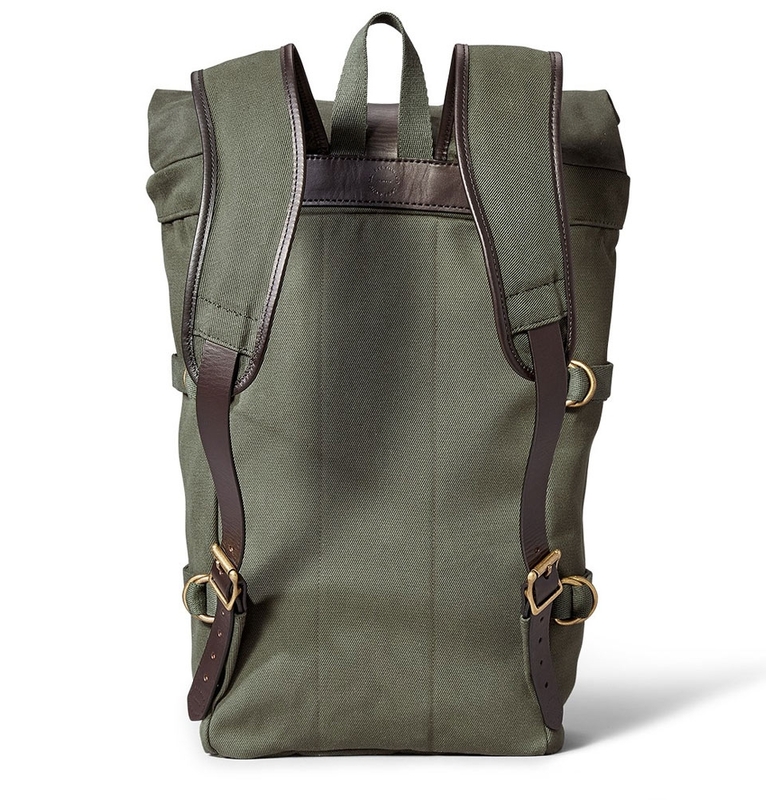 A roomy, nearly indestructible Roll-Top Backpack with Bridle Leather straps and padded laptop compartment. 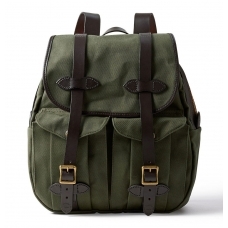 FILSON ROLL-TOP BACKPACK OTTER GREEN, a roomy, built to last backpack with roll down top closure. 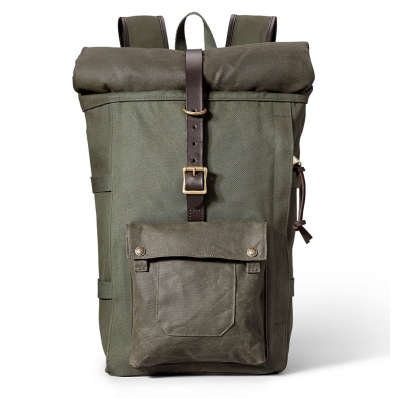 This Filson Roll-Top Backpack Otter Green 11070388 has a snap-closure top that rolls down to keep out dust and debris. 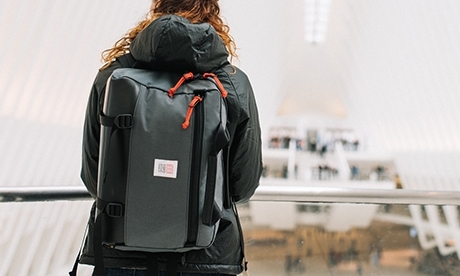 Adjustable straps cinch down the sides, so it's as large as it needs to be to fit your gear. 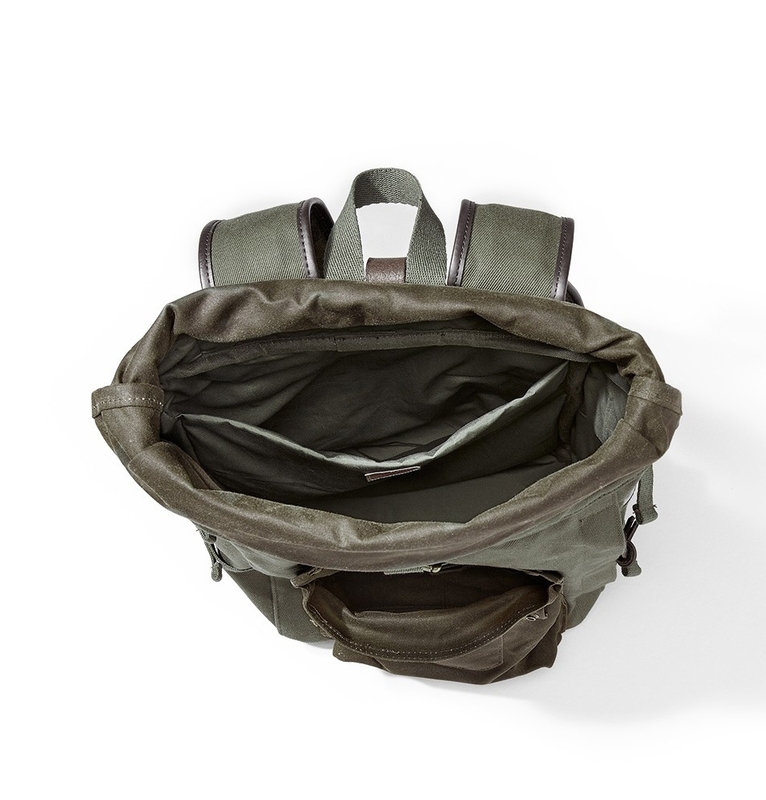 A convenient side-access zipper allows you to get at your goods more quickly, when needed. 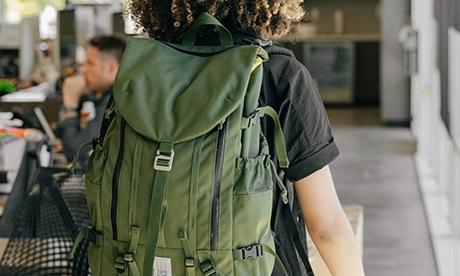 The no-spill front pocket has a fold over flap to secure smaller items even when the pocket is open. 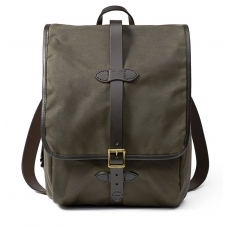 Made with saddle-grade Bridle Leather, it has a padded back and padded shoulder straps for all-day comfort when wearing. 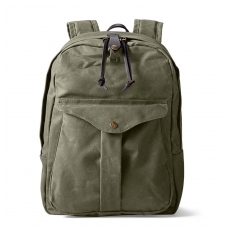 The interior is fully lined with soft cotton, and features a padded interior laptop compartment. 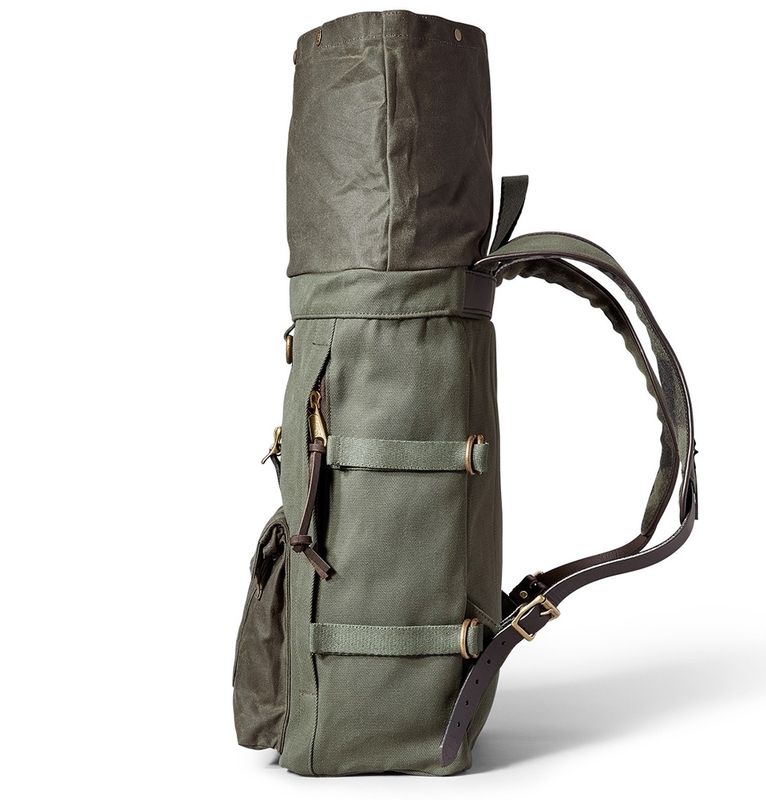 Best of all, it's built to last a lifetime, with Filsons Rugged Twill and water-repellent Tin Cloth. MADE IN USA, legendary and indestructible. 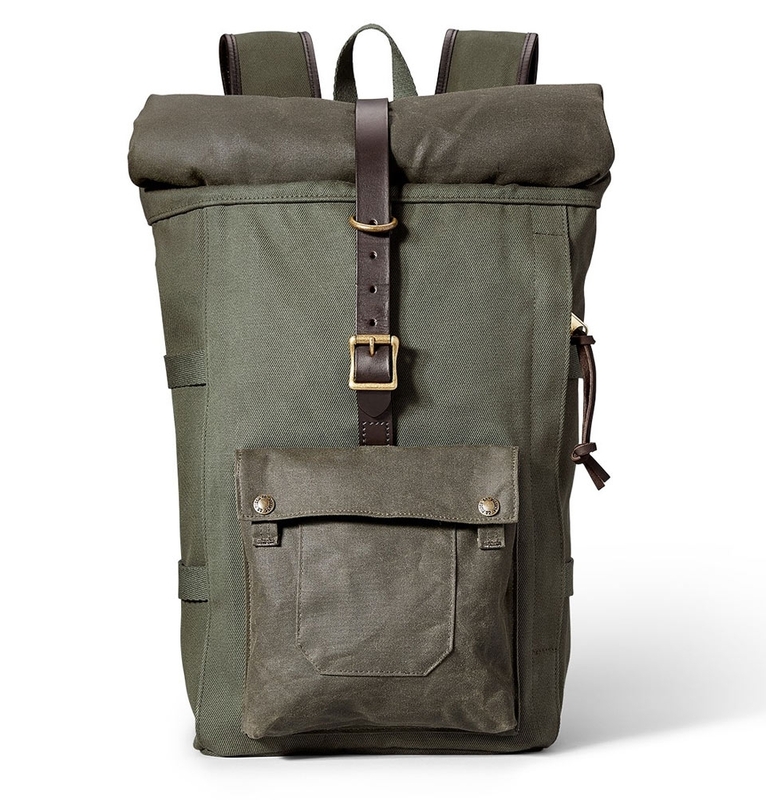 The Filson Roll-Top Backpack is made of Filsons nearly indestructible 22-oz. Rugged Twill in combination with the legendary super strong, light weight, and oil impregnated 15-oz. ‘Tin Cloth’ canvas. 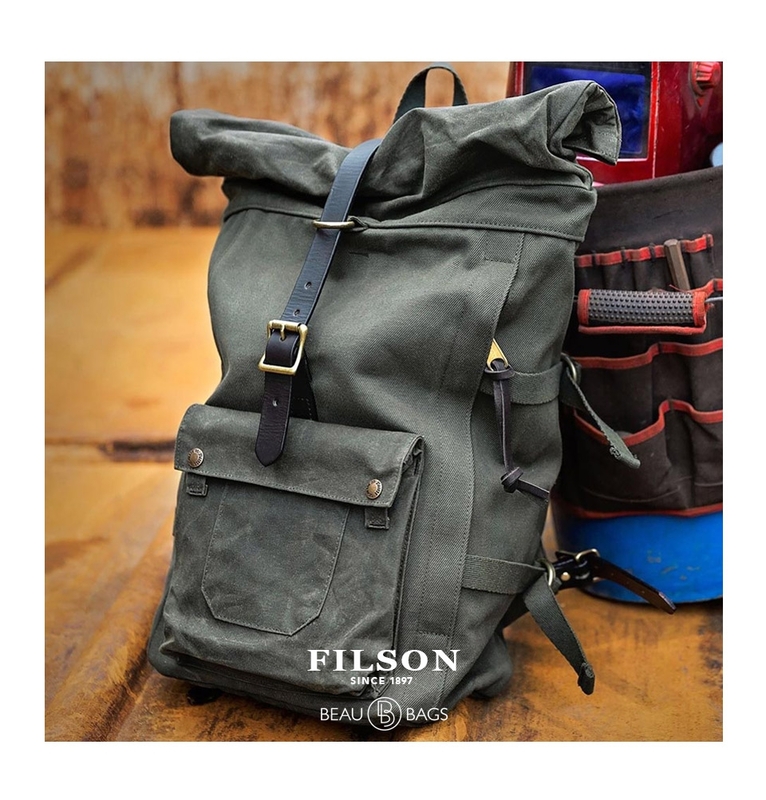 Travel in style with this Filson Roll-Top Backpack! 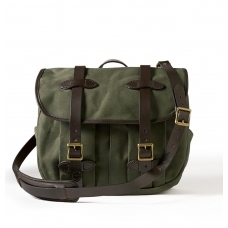 FILSON the AMERICAN EXPERIENCE | BUILT TO LAST. 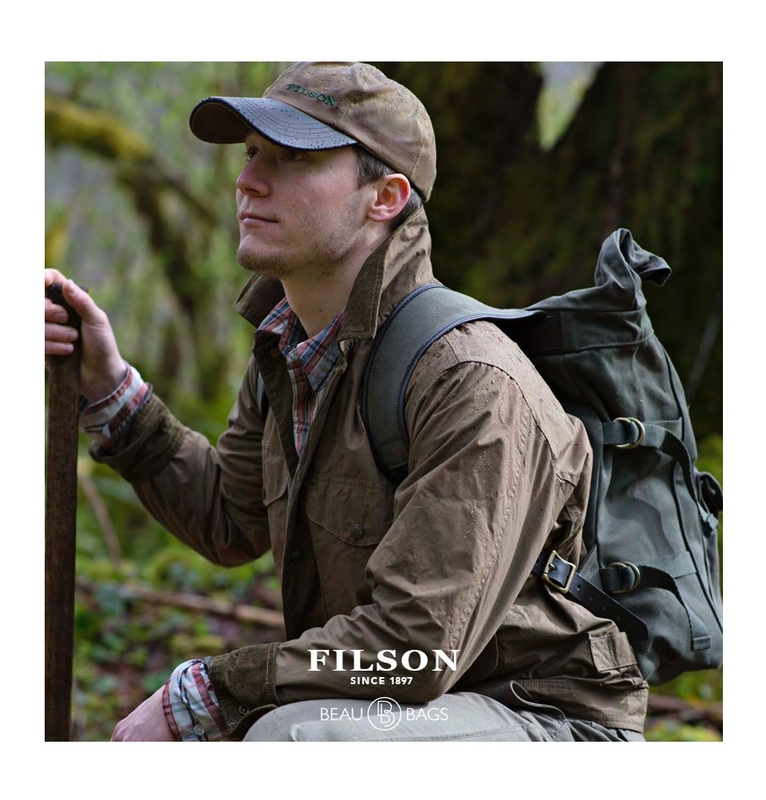 Established in 1897, Filson is the leading outfitter and manufacturer of unfailing goods for outdoor enthusiasts. 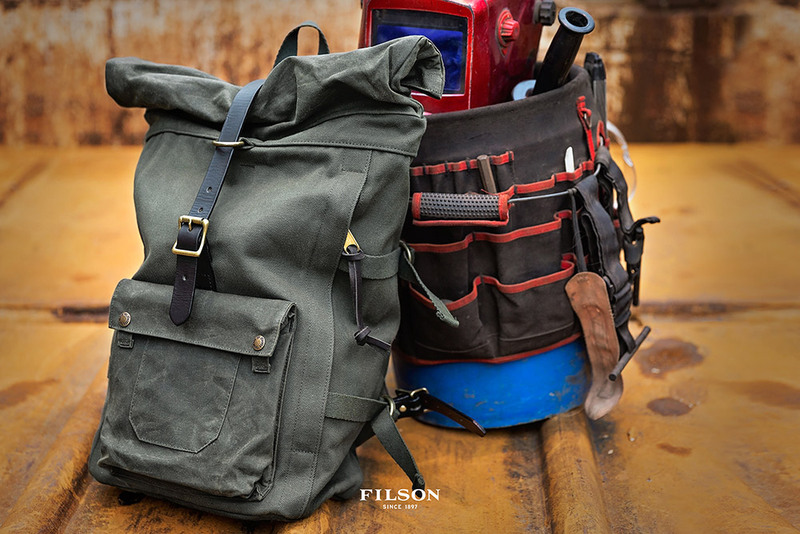 Built upon a reputation for reliability, Filson is a favorite among anglers and hunters, engineers and explorers, mariners and miners, and anyone who refuses to stay indoors. Headquartered in Seattle, Washington, and renowned for making products in the USA from fabrics such as heavyweight 22-oz. cotton oil finish Rugged Twill, Tin Cloth, and warm Mackinaw Wool, this company stands for the highest quality and most durable apparel and accessories available.